If this mountain is cool with being alone, why not you? The bus from the hotel to the Huangshan transport depot was brief. The other teachers from the school had risen early with visions of a hearty hike before them. 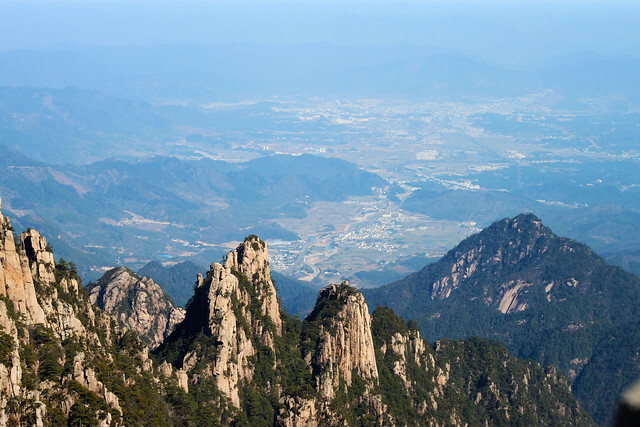 According to guide books and a thorough wiki-ing, the steep walk could be evaded by cable car, and one could be treated to the splendours of a half-dozen mountain peaks and hours of trudgery without ever having to climb up one long, bleak side of the mountain itself. A few of the others balked as I purchased the single ticket to the alternate destination. They were a posse of eight, forging up into the wilderness and the unknown of China, while I was one, alone. I would be solo on a mountain for hours, with no real knowledge of my companions or when I might meet up with them. I had a decent, though vague, reconstruction of a Google map imprinted on my brain which I would consult along with my compass. I had a good book, a nice camera, and money to purchase water and goods on the mountain top. I had no companions and no one to talk to. Cell phone reception would probably be spotty at such altitudes. I would definitely be on my own. I waved my goodbyes, shouldered my backpack, and soldiered on. 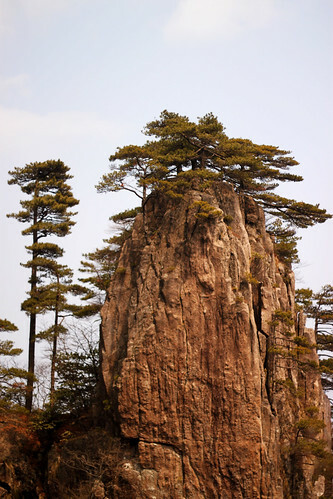 After a weekend hiking the various beauteous ridges of the Huangshan mountain area, I am left a little bereft of words. I saw a number of them available at the park: most of the various points of interest were all named hilariously, like a bunch of Christian inspirational albums masquerading as a mountainous region. Of course, with these words in mind, and my own words sapped out of me by so much sun and hiking, I’m a little dry on things to bring to you. My legs are achey, and so is my face, so here are the pretty pictures, is what I’m saying.